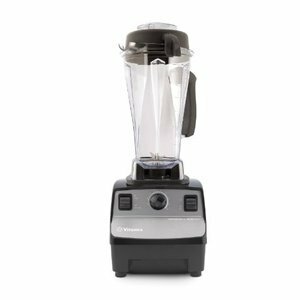 Combine the number of culinary tasks it performs with how often you'll use it and the Vitamix Professional Series 200 instantly moves beyond a mere kitchen luxury to an everyday necessity. 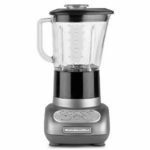 Achieve flavorful gourmet results with the speed and precision of a professional chef. 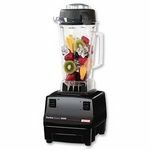 Powerful 2-Peak Horsepower motor propels the blade tip speed up to 240 miles-per-hour to blend even the toughest ingredients. 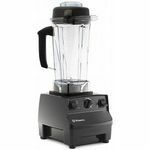 BPA-Free, shatter-proof container with easy grip handle is designed to create a powerful vortex to force ingredients up from the blades and back down the center for thorough processing. Elegant, fashion-forward design enhanced with Onyx mirror gloss finish, fingerprint-resistant and easy-to-clean. Included is the "Create" recipe book with easel-back design containing more than 300 signature recipes from gourmet chefs and "Let's Get Started" Instructional DVD. 7-year Performance Warranty guarantees performance as well as parts for 7 years. Excellent mixer worth buying !! It is really hard to mix material with a spoon and so on. But the mixer makes it easier for you! I believe that no kitchen should have a mixer! 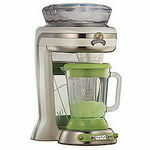 I strongly recommend you to buy this product because it has specific characteristics compared to other mixers. 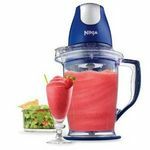 is a great super mixer, before my mother was suffering and wasting a lot of time looking on a good mixer but now we found the solution is this product, is a good product with a reasonable price do not hesitate to buy it.